It's officially December, and therefore now socially acceptable to be as excited about Christmas in public as I've felt in private since Halloween! 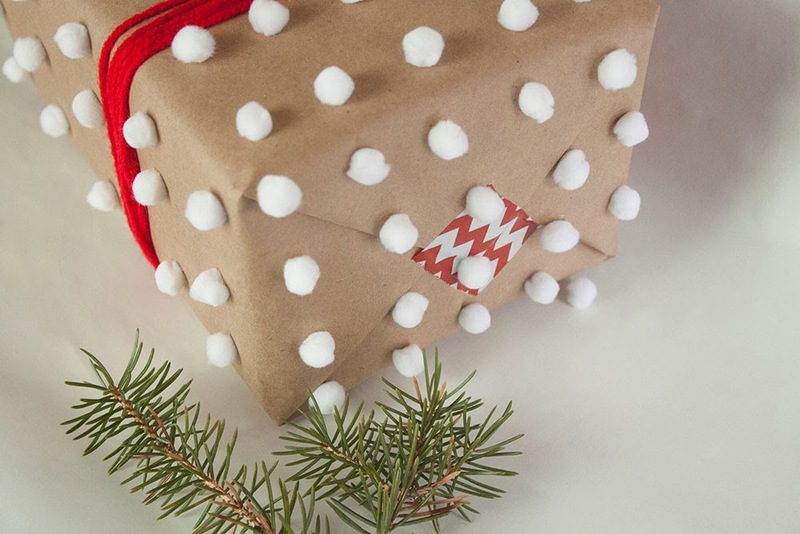 This wrapping paper DIY is a great way to get started on holiday crafts. Maybe it's just because they look like mini marshmallows, or because I've watched Elf thirty times, but doesn't it seem tempting to pop one of these pom-poms into your mouth? No? Just me? 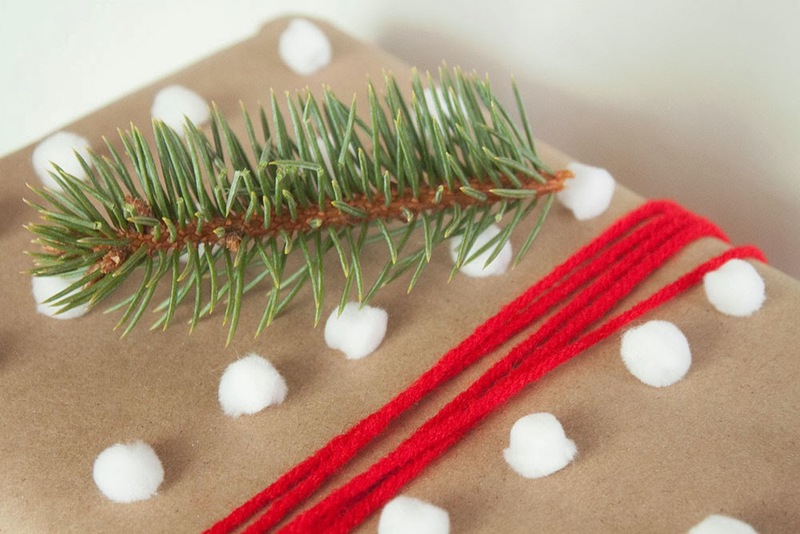 First, wrap your gift in the craft paper. Secure with the tape. 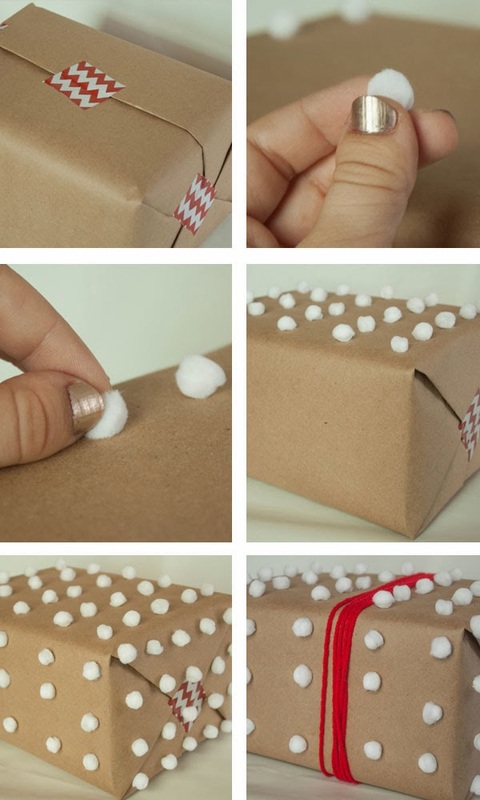 With a tiny dot of glue, attach each pom-pom to the gift, holding it in place until it's secure. 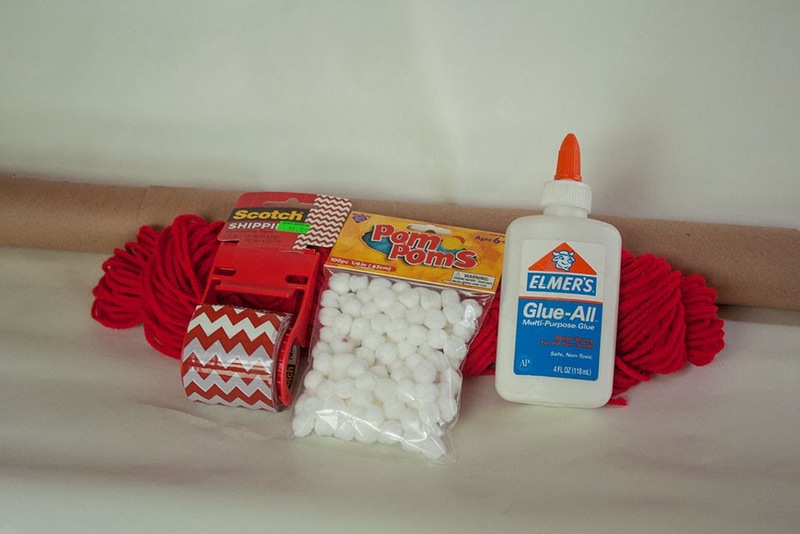 Wind the red yarn around the package, tying at the bottom. 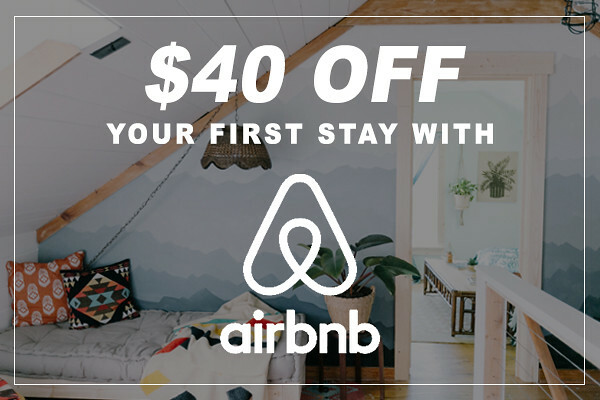 Place under the tree and try your best to keep the recipients at bay until Christmas morning! Pom-Poms! I love it! 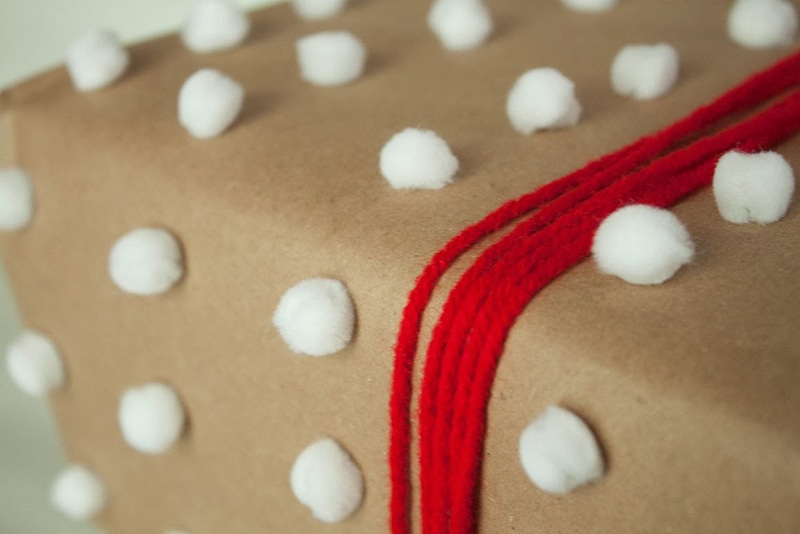 I use Kraft Paper for all my gift wrapping and then decorate it too!!! I love it! amazing idea! artistic it is!